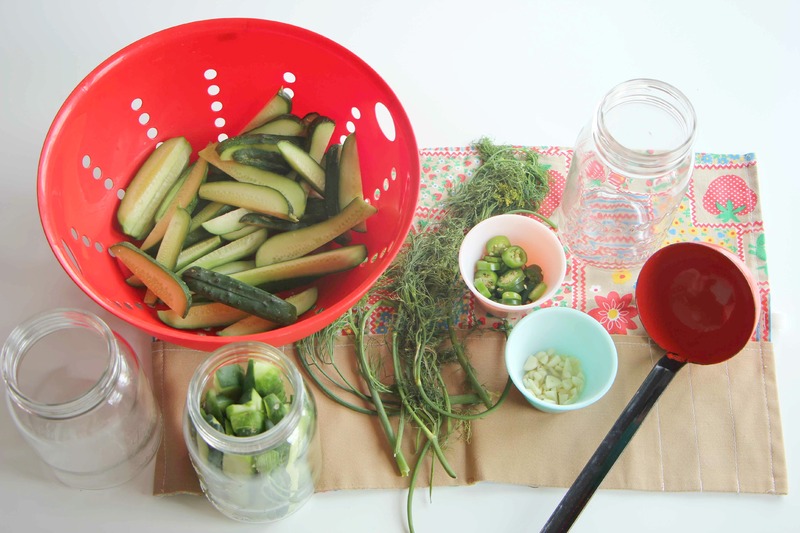 Every year when the season begins to change, I tell myself that I’m going to try making pickles. Last year, I even went as far as buying all the ingredients minus the actual cucumbers and seasonings! 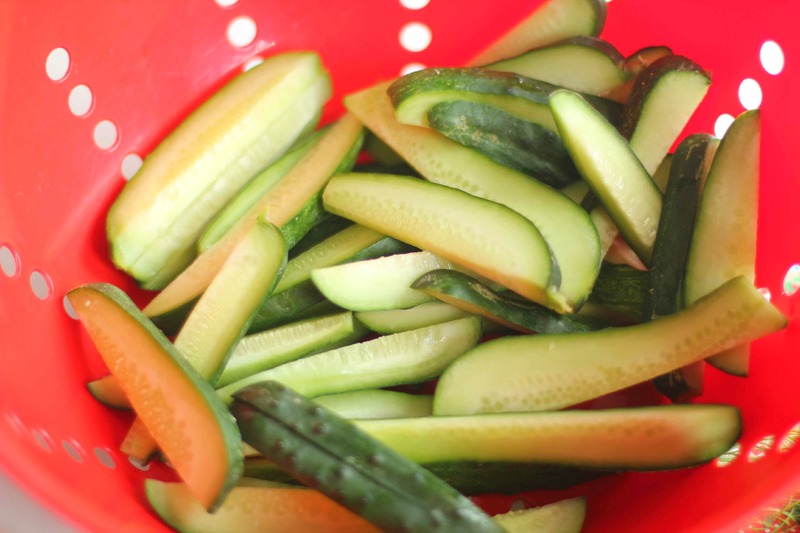 So when I started spotting fresh dill and cucumbers at the farmer’s market, I declared that this was the year of the pickle! I don’t even know why I had put it off for so long. These were easy! Combine all of the ingredients into a medium saucepan and stir over low heat until the sugar and salt is dissolved. 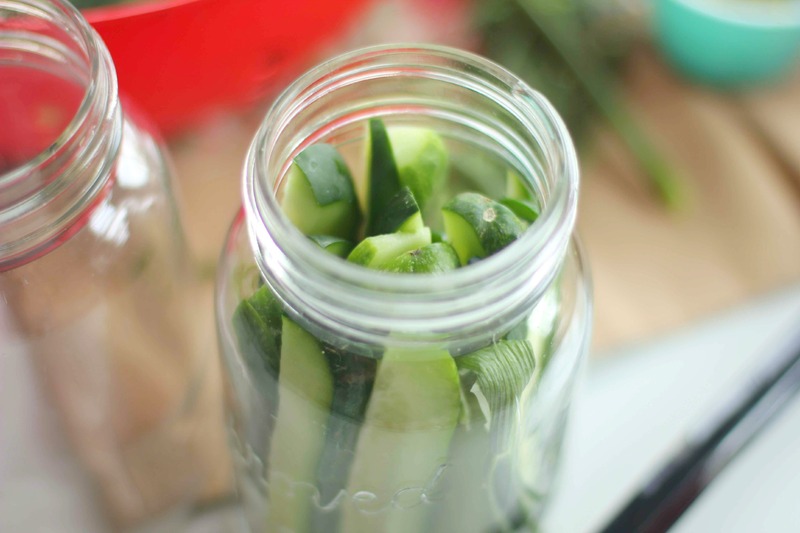 Pack the cucumbers in the jars, dividing the dill and other herbs. Once cooled, ladel the liquid mixture into the jars making sure to cover everything. Seal tightly and refrigerate. 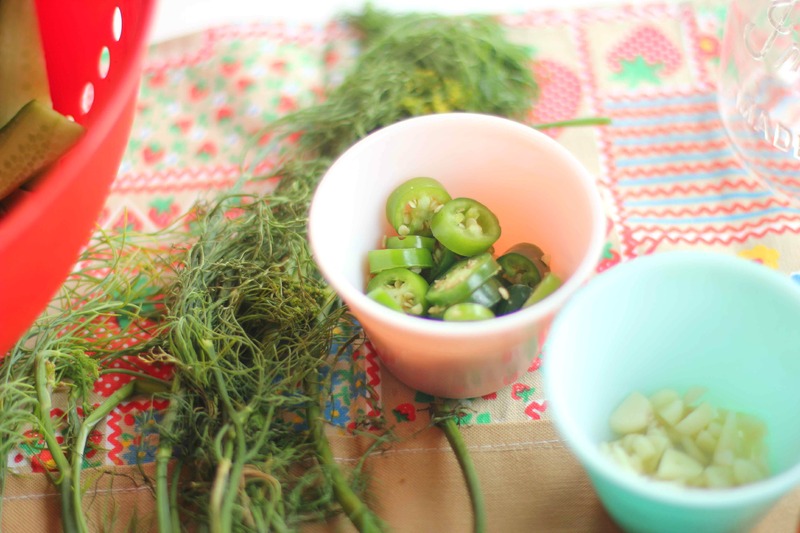 We used a mixture of dill, garlic, and fresh jalapeños. Obviously, the longer it sits, the more flavourable, but we couldn’t resist sampling them after a few hours and you could already taste the mix of seasonings!